"Ecclesiasticus" redirects here. It is not to be confused with Ecclesiastes. For the medieval text, see Alphabet of Sirach. For the scholar, see Ben Sira. The Book of the All-Virtuous Wisdom of Joshua ben Sira, commonly called the Wisdom of Sirach /ˈsaɪræk/ or simply Sirach, and also known as the Book of Ecclesiasticus /ᵻˌkliːziˈæstɪkəs/ (abbreviated Ecclus.) or Ben Sira, is a work of ethical teachings from approximately 200 to 175 BCE written by the Jewish scribe Shimon ben Yeshua ben Eliezer ben Sira of Jerusalem, on the inspiration of his father Joshua son of Sirach, sometimes called Jesus son of Sirach or Yeshua ben Eliezer ben Sira. In Egypt, it was translated into Greek by the author's (unnamed) grandson, who added a prologue. This prologue is generally considered the earliest witness to a canon of the books of the prophets, and thus the date of the text as we have it is the subject of intense scrutiny. The book itself is the largest wisdom book to have been preserved from antiquity. Sirach is accepted as part of the Christian biblical canons by Catholics, Eastern Orthodox, and most of Oriental Orthodox. The Anglican Church does not accept Sirach as protocanonical, and say it should be read only "for example of life and instruction of manners; but yet doth not apply them to establish any doctrine." Similarly, the Lutheran Churches include it in their lectionaries, and as a book proper for reading, devotion, and prayer. It was cited in some writings in early Christianity. There are claims that it is cited in the Epistle of James, and also the non-canonical Didache (iv. 5) and Epistle of Barnabas (xix. 9). Clement of Alexandria and Origen quote from it repeatedly, as from a γραφή, or holy book. The Catalogue of Cheltenham, Pope Damasus I, the Councils of Hippo (393) and Carthage (397), Pope Innocent I, the second Council of Carthage (419), and Augustine all regarded it as canonical, although the Council of Laodicea, of Jerome, and of Rufinus of Aquileia, ranked it instead as an ecclesiastical book. The Apostolic Canons (not recognized by the Catholic Church) stated as venerable and sacred the Wisdom of Sirach. The Roman Catholic Church declared it to be canonical in 1546 during the fourth session of the Council of Trent. Sirach is not part of the Jewish canon, once thought to have been established at the hypothetical Council of Jamnia, perhaps due to its late authorship, although it is not clear that the canon was completely "closed" at the time of Ben Sira. Others have suggested that Ben Sira's self-identification as the author precluded it from attaining canonical status, which was reserved for works that were attributed (or could be attributed) to the prophets, or that it was denied entry to the canon as a rabbinical counter-reaction to its embrace by the nascent Christian community. As with other wisdom books, there is no easily recognizable structure in Sirach; in many parts it is difficult to discover a logical progression of thought or to discern the principles of arrangement. However, a series of six poems about the search for and attainment of wisdom (1:1-10, 4:11-19; 6:18-37; 14:20-15:10; 24:1-33; and 38:24-39:11) divide the book into something resembling chapters, although the divisions are not thematically based. The exceptions are the first two chapters, whose reflections on wisdom and fear of God provide the theological framework for what follows, and the last nine chapters, which function as a sort of climax, first in an extended praise of God's glory as manifested through creation (42:15-43:33) and second in the celebration of the heroes of ancient Israel's history dating back to before the Great Flood through contemporary times (see previous section). 10. Women (9:1-9; 23:22-27; 25:13-26:27; 36:26-31; and 42:9-14). Illustration for Sirach, c. 1751. The Wisdom of Sirach is a collection of ethical teachings. Thus Ecclesiasticus closely resembles Proverbs, except that, unlike the latter, it is presented as the work of a single author, not an anthology of maxims drawn from various sources, presented in verse form. The question of which apothegms actually originated with Sirach is open to debate, although scholars tend to regard him as a compiler or anthologist. The teachings are applicable to all conditions of life: to parents and children, to husbands and wives, to the young, to masters, to friends, to the rich, and to the poor. Many of them are rules of courtesy and politeness; and a still greater number contain advice and instruction as to the duties of man toward himself and others, especially the poor, as well as toward society and the state, and most of all toward God. Wisdom, in ben Sirach's view, is synonymous with the fear of God, and sometimes is identified in his mind with adherence to the Mosaic law. The maxims are expressed in exact formulas, and are illustrated by striking images. They show a profound knowledge of the human heart, the disillusionment of experience, a fraternal sympathy with the poor and the oppressed. By contrast, Sirach exhibits little compassion for either women or slaves, and advocates distrust and possessiveness over women, and the harsh treatment of slaves (which presupposes the validity of slavery as an institution), positions which are not only difficult for modern readers, but cannot be completely reconciled with the social milieu at the time of its composition. As in Ecclesiastes, two opposing tendencies war in the author: the faith and the morality of olden times, which are stronger than all argument, and an Epicureanism of modern date. Occasionally Sirach digresses to attack theories which he considers dangerous; for example, that man has no freedom of will, and that God is indifferent to the actions of mankind and does not reward virtue. Some of the refutations of these views are developed at considerable length. Through these moralistic chapters runs the prayer of Israel imploring God to gather together his scattered children, to bring to fulfilment the predictions of the Prophets, and to have mercy upon his Temple and his people. The book concludes with a justification of God, whose wisdom and greatness are said to be revealed in all God's works as well as in the history of Israel. These chapters are completed by the author's signature, and are followed by two hymns, the latter apparently a sort of alphabetical acrostic. Of particular interest to biblical scholars are Chapters 44–50, in which Ben Sira praises "men of renown, and our fathers in their generation", starting from the antediluvian Enoch and continuing through to "Simon, the high priest, son of Onias" (300–270 BCE). Within this recitation, Ben Sira identifies, either directly or indirectly, each of the books of the Old Testament that would eventually become canonical, with the apparent exception of only Ezra, Daniel, Ruth, Esther, and perhaps Chronicles. The ability to date the composition of Sirach within a few years given the autobiographical hints of Ben Sira and his grandson (author of the introduction to the work) provides great insight regarding the historical development and evolution of the Jewish canon. Joshua ben Sirach, or, according to the Greek text "Jesus the son of Sirach of Jerusalem," was a Jewish scribe who had been living in Jerusalem, may have authored the work in Alexandria, Egypt ca. 180–175 BCE, where he is thought to have established a school. Ben Sirach is unique among all Old Testament and Apocryphal writers in that he signed his work. The Prologue, attributed to Ben Sira's grandson and dated to 132 BCE, is generally considered the earliest witness to a canon of the books of the prophets. Thus the date of the text, has been the subject of intense scrutiny by biblical scholars. Joshua ben Sirach's grandson was in Egypt, translating and editing after the usurping Hasmonean line had definitively ousted Simon's heirs in long struggles and was finally in control of the High Priesthood in Jerusalem. Comparing the Hebrew and Greek versions shows that he altered the prayer for Simon and broadened its application ("may He entrust to us his mercy"), in order to avoid having a work centered around praising God’s covenanted faithfulness that closed on an unanswered prayer. The Greek translator states in his preface that he was the grandson of the author, and that he came to Egypt in the thirty-eighth year of the reign of "Euergetes". This epithet was borne by only two of the Ptolemies. Of these, Ptolemy III Euergetes reigned only twenty-five years (247 – 222 BCE) and thus Ptolemy VIII Euergetes must be intended; he ascended the throne in the year 170 BCE, together with his brother Ptolemy VI Philometor, but he soon became sole ruler of Cyrene, and from 146 to 117 BCE held sway over all Egypt. He dated his reign from the year in which he received the crown (i.e., from 170 BCE). The translator must therefore have gone to Egypt in 132 BCE. The "Book of ben Sirach" (ספר בן סירא, Sefer ben Siraʼ) was originally written in Hebrew, and was also known in Hebrew as the "Proverbs of ben Sirach" (משלי בן סירא, Mišley ben Siraʼ) or the "Wisdom of ben Sirach" (חכמת בן סירא, Ḥokhmat ben Siraʼ). The book was not accepted into the Hebrew Bible and as a result the original Hebrew text was not preserved in the Jewish canon. However, various original Hebrew versions have since been recovered, including fragments recovered within the Dead Sea Scrolls and the Cairo Genizah, the latter of which includes fragments from six separate manuscripts. The Greek translation was accepted in the Septuagint under the (abbreviated) name of the author: Sirakh (Σιραχ). Some Greek manuscripts give as the title the "Wisdom of Iēsous Son of Sirakh" or in short the "Wisdom of Sirakh". The older Latin versions were based on the Septuagint, and simply transliterated the Greek title in Latin letters: Sirach. In the Vulgate the book is called Liber Iesu filii Sirach ("Book of Joshua Son of Sirach"). The Greek Church Fathers also called it the "All-Virtuous Wisdom", while the Latin Church Fathers, beginning with Cyprian, termed it Ecclesiasticus because it was frequently read in churches, leading the early Latin Fathers to call it liber ecclesiasticus (Latin and Latinised Greek for "church book"). Similarly, the Nova Vulgata and many modern English translations of the Apocrypha use the title Ecclesiasticus, literally "of the Church" because of its frequent use in Christian teaching and worship. Considering the average length of two generations, Sirach's date must fall in the first third of the 2nd century BCE. Furthermore, Sirach contains a eulogy of "Simon the High Priest, the son of Onias, who in his life repaired the House" (50:1). Festschrift M.Gilbert and other scholars posit that this seems to have formed the original ending of the text, and that Chapters 50 (from verse 2) and 51 are later interpolations. Under this theory, the second High Priest Simon (died 196 BCE) would have been intended, and the composition would have concluded shortly thereafter, given that struggles between Simon's successors (175 – 172 BCE) are not alluded to in the book, nor is the persecution of the Jews by Antiochus IV Epiphanes (168 BCE). The work of Sirach is presently known through various versions, which scholars still struggle to disentangle. Although excluded from the Jewish canon, Sirach was read and quoted as authoritative from the beginning of the rabbinic period. There are numerous citations to Sirach in the Talmud and works of rabbinic literature (as "ספר בן סירא", e.g., Hagigah 13a, Niddah 16b; Ber. 11b). Some of those Sanhedrin 100b records an unresolved debate between R'Joseph and Abaye as to whether it is forbidden to read the Sirach, wherein Abaye repeatedly draws parallels between statements in Sirach cited by R'Joseph as objectionable and similar statements appearing in canonical books. Sirach may have been used as a basis for two important parts of the Jewish liturgy. In the Mahzor (High Holiday prayer book), a medieval Jewish poet may have used Sirach as the basis for a poem, KeOhel HaNimtah, in the Yom Kippur musaf ("additional") service for the High Holidays. However, some question whether this passage in Sirach is referring at all to Yom Kippur, and thus argue it cannot form the basis of this poem. 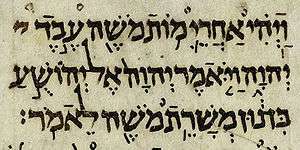 Some early 20th Century scholars also argued that the vocabulary and framework used by Sirach formed the basis of the most important of all Jewish prayers, the Amidah, but that conclusion is disputed as well. Current scholarship takes a more conservative approach. On one hand, scholars find that "Ben Sira links Torah and wisdom with prayer in a manner that calls to mind the later views of the Rabbis," and that the Jewish liturgy echoes Sirach in the "use of hymns of praise, supplicatory prayers and benedictions, as well as the occurrence of [Biblical] words and phrases [that] take on special forms and meanings." However, they stop short of concluding a direct relationship existed; rather, what "seems likely is that the Rabbis ultimately borrowed extensively from the kinds of circles which produced Ben Sira and the Dead Sea Scrolls ...."
Some people claim that there are several allusions to the Wisdom of Sirach in the New Testament. These include the Virgin Mary's Magnificat in Luke 1:52 following Sirach 10:14; the description of the seed in Mark 4:5,16-17 following Sirach 40:15; the statement by Jesus in Matthew 7:16,20 following Sirach 27:6; and James 1:19 quoting Sirach 5:11. The distinguished patristic scholar Henry Chadwick has claimed that in Matthew 11:28 Jesus was directly quoting Sirach 51:23, as well as comparing Matthew 6:12 "And forgive us our debts, as we forgive our debtors." (KJV) with Sirach 28:2 "Forgive your neighbor a wrong, and then, when you petition, your sins will be pardoned." Some Christians regard the catalogue of famous men in Sirach as containing several messianic references. The first occurs during the verses on David. Sir 47:11 reads "The Lord took away his sins, and exalted his power for ever; he gave him the covenant of kings and a throne of glory in Israel." This references the covenant of 2 Sam 7, which pointed toward the Messiah. "Power" (Heb. qeren) is literally translated as horn. This word is often used in a messianic and Davidic sense (e.g. Ezek 29:21, Ps 132:17, Zech 6:12, Jer 33:15). It is also used in the Benedictus to refer to Jesus ("and has raised up a horn of salvation for us in the house of his servant David"). Another verse (47:22) that Christians interpret messianically begins by again referencing 2 Sam 7. This verse speaks of Solomon and goes on to say that David’s line will continue forever. The verse ends telling us that "he gave a remnant to Jacob, and to David a root of his stock." This references Isaiah’s prophecy of the Messiah: "There shall come forth a shoot from the stump of Jesse, and a branch shall grow out of his roots"; and "In that day the root of Jesse shall stand as an ensign to the peoples; him shall the nations seek…" (Is 11:1, 10). The opening lines of the 1982 Academy Awarded Best Picture, Chariots of Fire, "Let us now praise famous men, and our fathers that begat us", is from Sirach 44:1. In "Canon Alberic's Scrap-Book", the first ghost story in his first published collection, M.R. James has his protagonist, Dennistoun, quote lines from Ecclesiasticus 39:28: "Some spirits there be that are created for vengeance, and in their fury lay on sore strokes." ↑ Or "…of Joshua son of Sirach", the literal translation of ben. ↑ MLA citation. Gigot, Francis. Ecclesiasticus. The Catholic Encyclopedia. Vol. 5. New York: Robert Appleton Company, 1909. 25 Oct. 2013 ]. ↑ "Book of Ben Sira". BibleStudyTools.com. Salem Communications Corporation. Retrieved 2013-10-25. 1 2 3 4 5 6 7 Daniel J. Harrington (2001). Michael Coogan, ed. The New Oxford Annotated Bible: With the Apocryphal/Deuterocanonical Books New York, pp. 99–101 (4th ed.). New York, USA: Oxford University Press. pp. 99–101. ISBN 0-19-528478-X. ↑ "Canon VI. Of the Sufficiency of the Holy Scriptures for salvation. The Thirty-Nine Articles of Religion.". Church Society. Retrieved 25 July 2014. 1 2 3 4 "Sirach, The Wisdom of Jesus the Son of". Jewish Encyclopedia. 1906. ↑ in Trullo, Council. The Apostolic Canons. Canon 85. newadvent. Retrieved 12 October 2016. ↑ Manhardt,Laurie, Ph.D., Come and See Wisdom: Wisdom of the Bible, p. 173 (Emmaus Road Publishing 2009), ISBN 978-1-931018-55-5. ↑ Ska, Jean Louis, The Exegesis of the Pentateuch: Exegetical Studies and Basic Questions, pp. 184–195 (Mohr Siebeck Tubingen 2009), ISBN 978-3-16-149905-0. ↑ Mulder, Otto , Simon the High Priest in Sirach 50, p. 3 fn.8 (Koninkliijke Brill nv 2003), ISBN 978-90-04-12316-8 ("The highly esteemed book of Ben Sira is not sacred Scripture [because] 'the author was known to have lived in comparatively recent times, in an age when, with the death of the last prophets, the holy spirit had departed from Israel."). ↑ Sulmasy, Daniel P., M.D. The Rebirth of the Clinic: An Introduction to Spirituality in Health Care, p. 45 (Georgetown Univ. Press 2006), ISBN 978-1-58901-095-6. ↑ Harrington, Daniel J. (1999). Invitation to the Apocrypha. Grand Rapids, Mich. [u.a. ]: Eerdmans. p. 90. ISBN 0-8028-4633-5. ↑ e.g, see: Sirach 42:12–14 ("Do not look upon any one for beauty,and do not sit in the midst of women;  for from garments comes the moth,and from a woman comes woman's wickedness. Better is a man's harshness than a woman's indulgence, a frightened daughter than any disgrace. "); Sir. 22:3 ("the birth of a daughter is a loss"). But see Sirach 7:27 ("With all your heart honor your father,and do not forget the birth pangs of your mother. "); Sir. 36:24–25 ("He who acquires a wife gets his best possession,a helper fit for him and a pillar of support. Where there is no fence, the property will be plundered;and where there is no wife, a man will wander about and sigh."). ↑ Marttila, Marko. Foreign Nations in the Wisdom of Ben Sira: A Jewish Sage between Opposition and Assimilation, pp. 196–199 (Walter de Gruyter GmbH & Co. 2012), ISBN 978-3-11-027010-5. ↑ Perspectives on Hebrew Scriptures II, Volume 5, Ehud Ben Zvi ed., pp. 179–190 (Gorgias Press LLC 2007), ISBN 978-1-59333-612-7. 1 2 Guillaume, Philippe (2004). "New Light on the Nebiim from Alexandria: A Chronography to Replace the Deuteronomistic History (PDF)" (PDF). Journal of Hebrew Scriptures (5: Section: 3. The Date of Ben Sira). ↑ Baxter, J. Sidlow (1968). The Strategic Grasp of the Bible. Zondervan. p. 46. ↑ See generally The Hebrew of the Dead Sea Scrolls and Ben Sira: Proceedings of a Symposium Held at Leiden University, 11–14 December 1995, Volume 26 (T. Muraoka & J.F. Elwolde eds. ), ISBN 90-04-10820-3. ↑ Mulder, p. 11. However, other scholars take the position that Sirach started with chapters 1 – 23 and 51, with the intermediate sections being inserted thereafter. Mulder, pp. 30–31. ↑ 1 Maccabees 1:20–25, see "Polyglot Bible. 1 Maccabees.". Retrieved 2009-08-05. ↑ Flavius Josephus. "How the City Jerusalem Was Taken, and the Temple Pillaged. As Also Concerning the Actions of the Maccabees, Matthias and Judas; and Concerning the Death of Judas"". In William Whiston. The Wars of the Jews. ↑ Egger-Wenzel, Renate "Ein neues Sira-Fragment des MS C," Biblische Notizen 138 (2008) 107-14. ↑ See: M.R. Lehmann, "The Writings of Ben Sira, the Dead Sea Scrolls and Temple Worship in the Liturgy of Yom Kippur," in Piyyut in Tradition, vol. 2 (eds. B. Bar-Tikva and E. Hazan [Hebrew]; Ramat Gan: Bar-Ilan Univ., 2000), pp. 13–18. ↑ Tabori, Yosef (1996). Moʻade Yiśraʼel bi-teḳufat ha-Mishnah ṿeha-Talmud (Mahad. 2. metuḳenet u-murḥevet. ed.). Yerushalayim: Hotsaʼat sefarim ʻa. sh. Y.L. Magnes, ha-Universiṭah ha-ʻIvrit. pp. 260 n.4. ISBN 9652238880. ↑ Reif, Stefan C. Prayer in Ben Sira, Qumran and Second Temple Judaism: A Comparative Overview, in Ben Sira's God: Proceedings of the International Ben Sira Conference, Durham, Renate Egger-Wenzel ed., p. 322 (Walter de Gruyter GmbH & Co. 2002), ISBN 3-11-017559-2. 1 2 Reif, p. 338. ↑ Colin Welland (July 17, 2015). "Chariots of Fire Script" (PDF). Wikimedia Commons has media related to Ecclesiasticus.